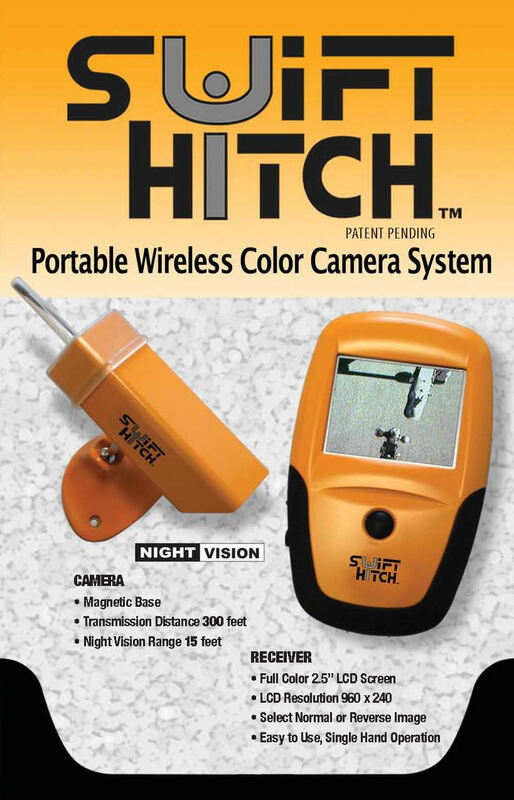 Swift Hitch a wireless camera system with built in NIGHT VISION used to hitch up your enclosed trailer, camper, snowplow, boat trailer, horse trailer or anything to your vehicle fast in 3 easy steps. Mount the magnetic camera on your tail gate, View yourself backing up and then HITCH UP. Now with a reverse image to make backing up easier!